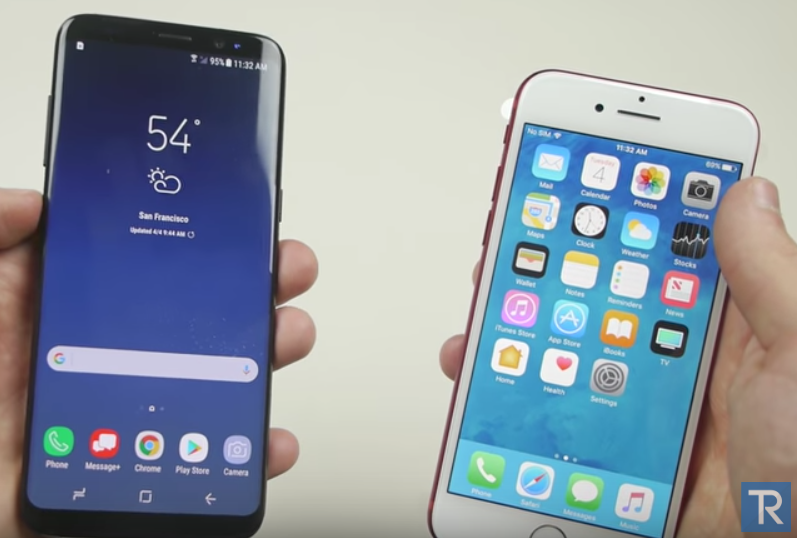 Apple product destroyer on YouTube, TechRax, has posted a video demonstrating a drop test between Samsung’s latest Galaxy S8 in Midnight Black and Apple’s iPhone 7 in (PRODUCT)RED. The YouTube performs casual 5-foot side drop tests and also front-facing drop tests. Each phone survives the 5-foot drop test but when it comes to the front-facing test, the iPhone 7 ends up with a smash screen, unlike the Galaxy S8 (which didn’t actually land on its face, so…). Again, these tests aren’t scientific by any means, but demos what happens if you’re going to casually drop your expensive phones that aren’t in cases (#becausepageviews). Let’s stay tuned and see what SquareTrade’s updated torture tests will note for the Galaxy S8 and S8+. Earlier, it was noted in battery tests the Galaxy S8+ still could not beat the iPhone 7 Plus.